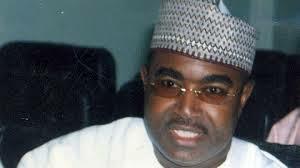 A week after his formal resignation from the Peoples Democratic Party, a former military administrator of Lagos and Borno States and Nigeria’s ex-Envoy to South Africa, Gen. Mohammed Buba Marwa (retd), on Wednesday returned to the All Progressives Congress with thousands of his supporters across Adamawa state. He quoted Marwa as reminding the gathering that they had no reason to leave APC before but for the fact that thousands of TMO members were denied registration into APC in Adamawa State when the party was newly formed. Marwa told his supporters that, “All efforts to seek redress through the appropriate channels were to no avail, thus leaving thousands of you, TMO members, without a party. I therefore urge you all to forgo your grievances and let bygones be bygones because with President Muhammadu Buhari in the saddle, such impunity won’t happen again.